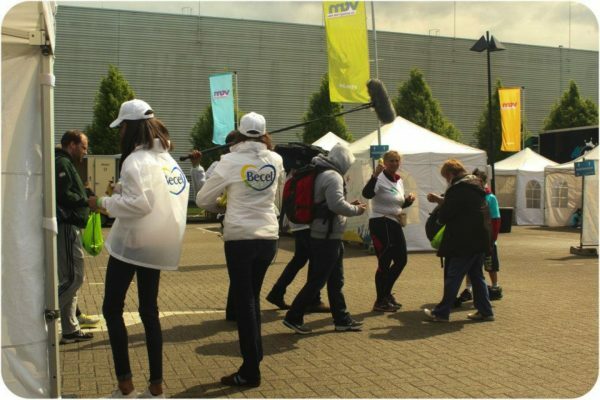 For eight weeks VTM television programme ‘Let’s Get Fit’ followed five participants who wanted to be more active to improve their health. 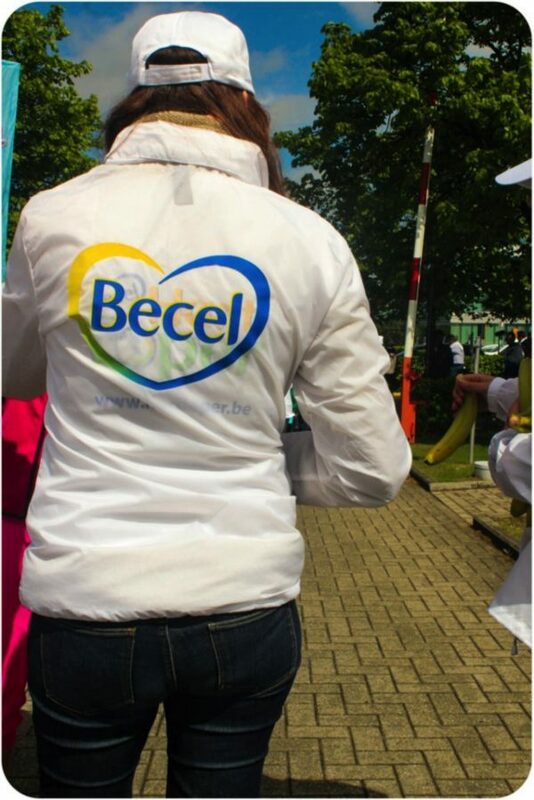 Mend their ways, so to speak. 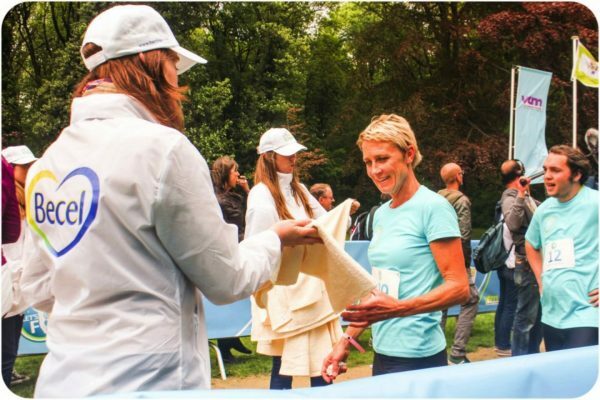 You could follow this ‘quest for’ on the television but the grand finale was a five kilometre run through Vilvoorde’s park De Drie Fonteinen. 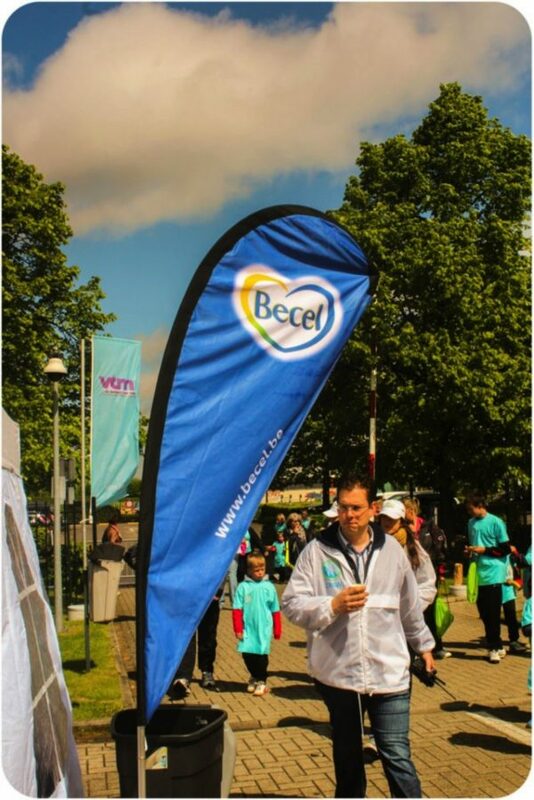 Commissioned by advertising agency Darwin BBDO, Fast Forward organised a sampling for Becel, sponsor of Let’s Get Fit. 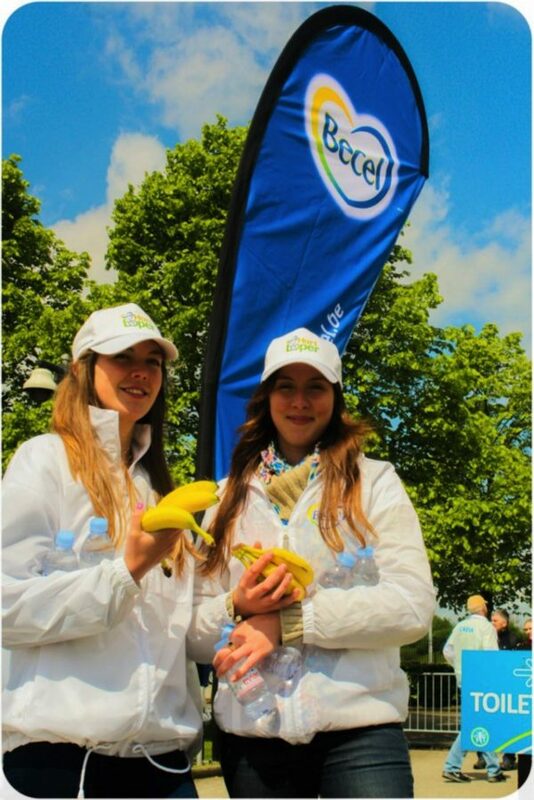 At the start all participants were given fluids and energy in the form of a bottle of water and a banana. 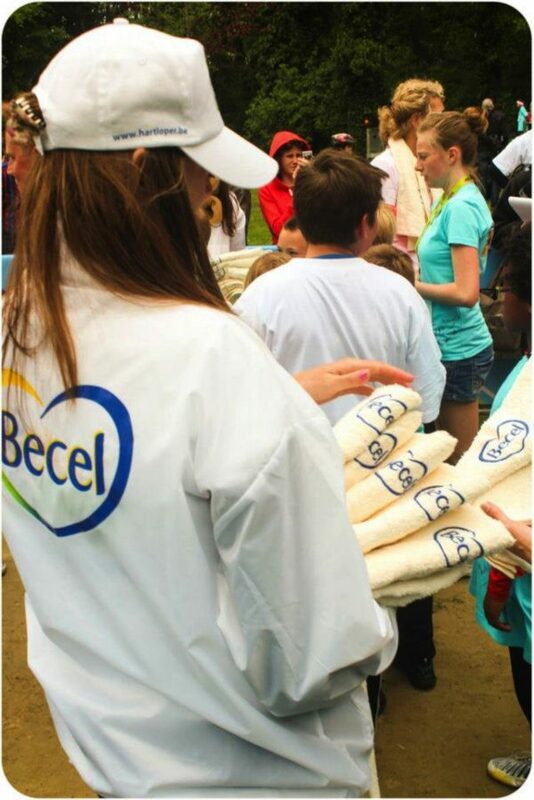 All runners who crossed the finish line were given a towel and coupon in their still trembling hands.